Social Samosa takes a look at a few Facebook Leads Ad Case Studies to understand how these ads help the brands. According to statistics by Facebook Business, when global brand Mazda, switched to Facebook Lead Gen ads, they got 5X the number of leads compared to ads linking to their website, while cost per lead dropped 85%. With latest features, Facebook Lead Gen ads, have been more precise and effective, reducing the cost per lead dramatically. For the unacquainted, to created a Leads Ad, one has to choose your ad creative, set your targeting and bidding type and then customize your form fields. The easiest and fastest way to retrieve lead information is to set up lead ads to sync with a CRM solution from one of our integrated marketing platforms. Facebook’s current partners include Driftrock, Marketo, Maropost, Oracle Marketing Cloud, Sailthru, and Salesforce. There are numerous successful examples of brands implementing lead ads on Facebook and achieving fantastic results. Social Samosa takes a look at a few Facebook Leads Ad Case Studies to understand how these ads help the brands. The car manufacturer used lead ads to drive brand consideration for 5 models among new car shoppers, generating a 22 times lower cost per lead. Ford Motor Company Philippines is one of the country’s most popular automotive brands, was keen to grow brand consideration among new car shoppers and motivate them to take a test drive at their local dealer. In doing so, it ultimately aimed to increase sales across 5 key models. By adding lead ads to its campaign, Ford and its agency Mindshare simply and effectively captured highly valuable sales leads. Running from April–June 2016, Ford’s lead ads promoted 5 vehicles to different target audiences based on age, interests and behaviour. Ads about the Everest model were targeted to males aged 35–50 with interests in travel and competitor brands, while its Fiesta model ads targeted 18- to 25-year-olds interested in topics like fashion accessories, vehicles, music and sports. Each piece of creative put the spotlight on one model and invited people to take a test drive. In just 2 months, Ford saw a 4.3X increase in leads compared to its entire lead generation campaign for 2015. The luxury automaker used a 2-phase Instagram and Facebook campaign to draw a third of its leads, and sold 127 Levantes among those leads. 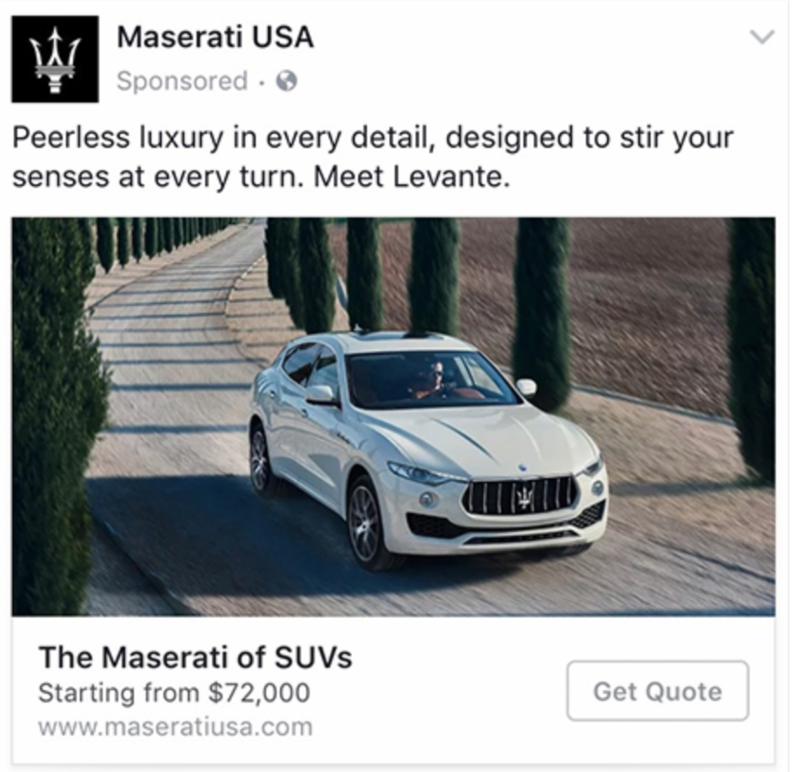 Maserati wanted to take advantage of the buzz surrounding the release of its first SUV by cost-effectively generating qualified leads and driving sales using Facebook and Instagram. 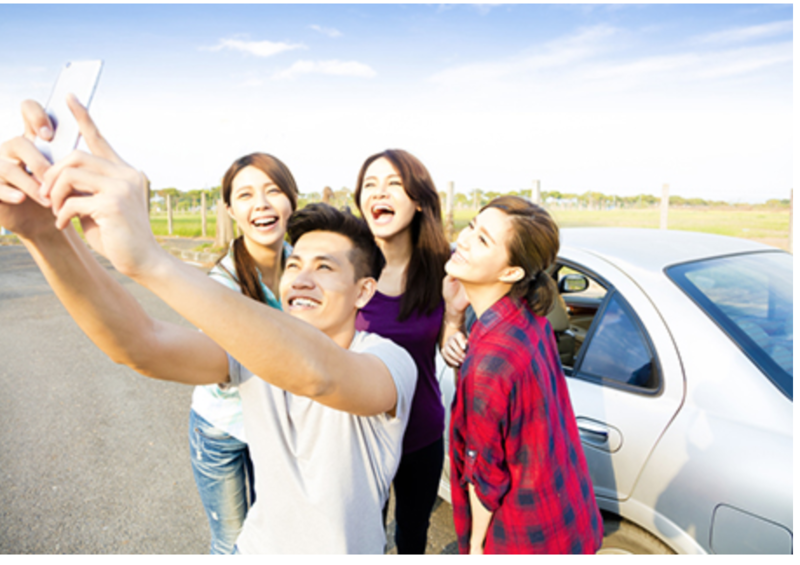 The branding phase of the campaign used video ads on Facebook and Instagram to communicate the uniqueness of the vehicle and establish an emotional connection with a qualified audience. Each video featured a different vehicle selling point—from the Levante’s driving dynamics to its luxurious interior features. For the second phase, the team used lead ads, which automatically fill in contact information from people’s Facebook profiles when they click through. To increase the quality of leads that it generated during this phase, it was critical for Maserati to show the lead ads to people who had completed watching a video ad during the branding phase. Maserati’s campaign boosted awareness for the new Levante by reaching more than 4 million people on Facebook and Instagram. From the 21,000 leads generated by the campaign, Maserati sold 127 Levantes. 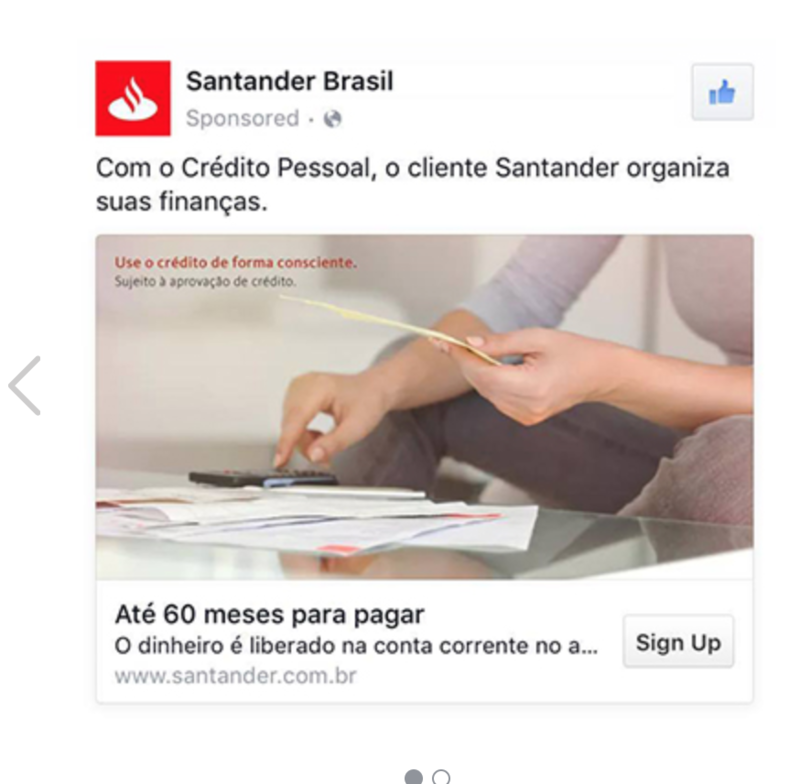 Santander Group, the third largest private bank in Brazil was able to directly reach customers who were interested in its pre-approved credit product, thanks to more accurate segmentation of managed Custom Audiences. The bank wanted to ease the frustration of customers who were receiving ads, but who didn’t have the right credit profile. The bank ran an exclusive Facebook campaign using the managed Custom Audiences segmenting tool, which is a part of the partner category tool created by Facebook and Facebook Marketing Partner Experian Marketing Services. Using this new audience segmenting feature, Santander could find its customers on Facebook and only target ads to those who were potentially interested in pre-approved credit. Santander was able to achieve the following during its January 2016 campaign. 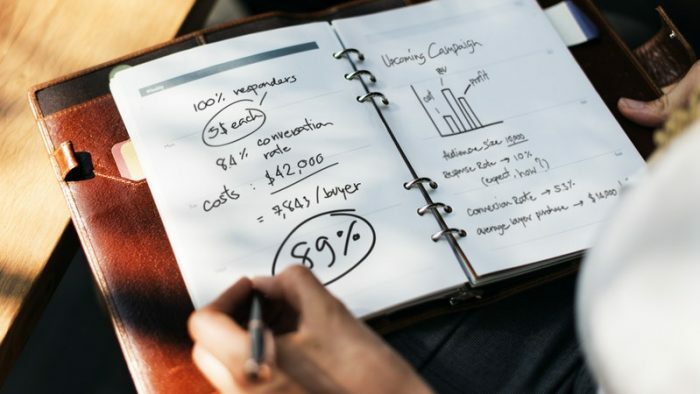 7X higher return on ad spend compared to the average return for recent campaigns, 81 per cent reach among the campaign’s target audience, 52 per cent increase in qualified leads compared to campaigns redirecting people to the website. 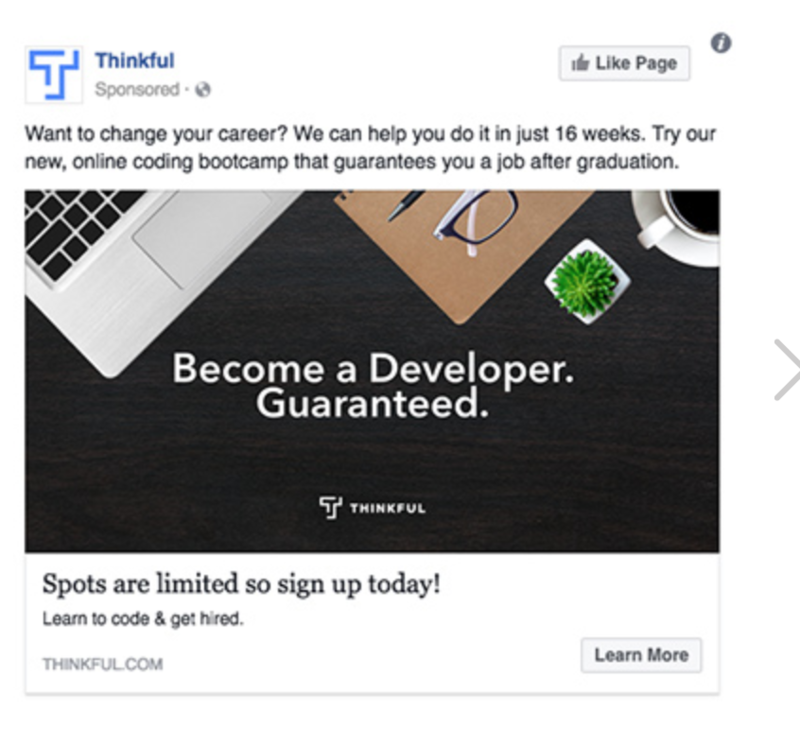 Thinkful, the online coding school used lead adverts to encourage people to sign up and learn about its bootcamp programme, resulting in a nearly threefold increase in overall lead volume. The online school wanted to boost the number of potential developers it reached. In particular, it wanted to reach developers who wanted to improve their skills and people who wanted to become developers. Thinkful wanted to tap into the huge market share available on Facebook. In order to encourage more people to become students, the school used lead adverts to increase the number of high-quality leads it receives. Running from June to July 2016, the campaign achieved- 2.7x increase in overall lead volume, 2.5x increase in revenue, 6 per cent increase in sales and 4 per cent increase in engagement with Thinkful advisors as a result of quality leads. Facebook Leads Ads have proved to be cost effective and helpful for brands on various occasions. The Facebook Leads Ad Case Studies will help you not only understand but apply the concept better. How Lakshmi - Short Film took social media by storm!